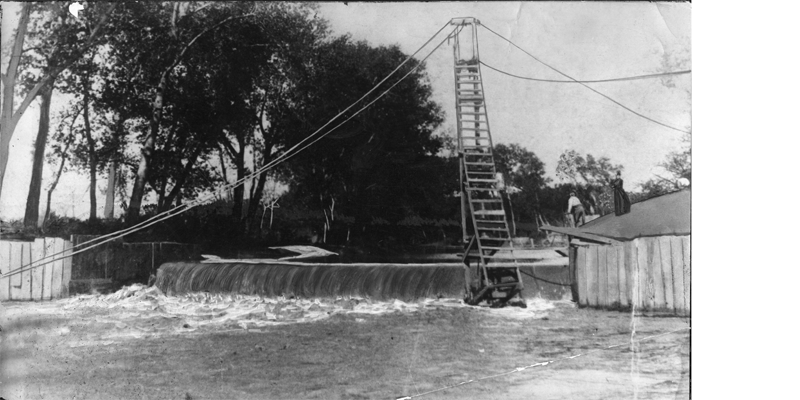 Construction began in 1889 on a six mile canal intended to deliver water power to an industrial district in South Oklahoma. Ambitious but flawed, the project proved to be a financial disaster. 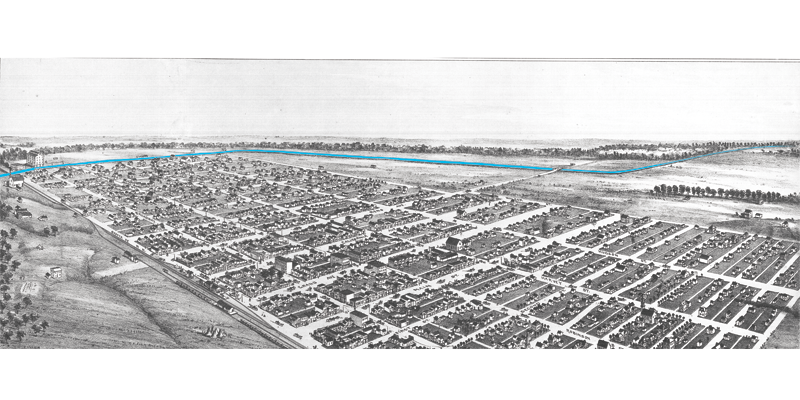 The largest commercial venture undertaken in the early years of the city was the Oklahoma City Ditch and Water Power Company's construction of a dam in the North Canadian River and a 6 mile canal to the site of a proposed mill and electric generation plant at the south edge of South Oklahoma. Though some doubted the project's feasibility, the company raised $50,000 through the sale of bonds and a stock subscription widely supported by the Board of Trade and citizens of Oklahoma City. 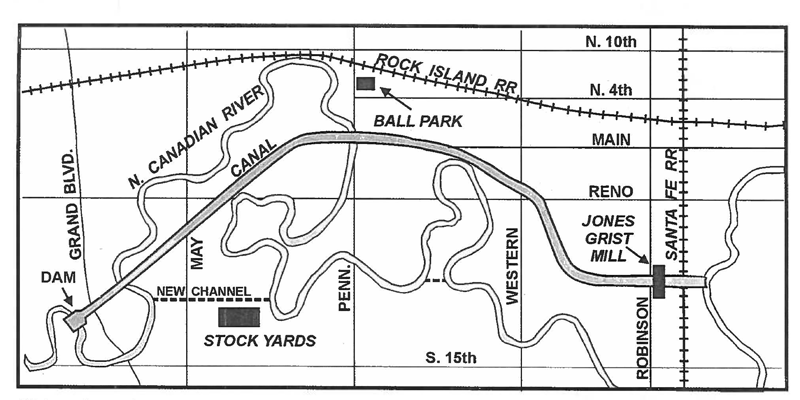 Former Mayor Couch threw the first dirt on December 9, 1889, and for the next year hundreds of men were employed building an elevated channel lined with timber to by-pass more than 15 miles of meandering river. The canal was completed by Christmas Eve 1890, when 5,000 citizens turned out to watch a torrent of water pour from the outfall. The flour mill built by C.G. Jones and electric turbine owned by the canal company both turned for a few days then ground to a halt. The canal �. . . proved a failure,� wrote pioneer journalist Fred L. Wenner, �the water disappearing in quick sands underlying its course and into gopher and ground hog holes in the banks as fast as it flowed in from the river.� For six months efforts to contain the water in the channel came to naught. Nevertheless, the project became a legend of aspirational civic commitment for pioneers of the ambitious new city.